Off white (light grey) MFC top. Silver MFC sides and body. 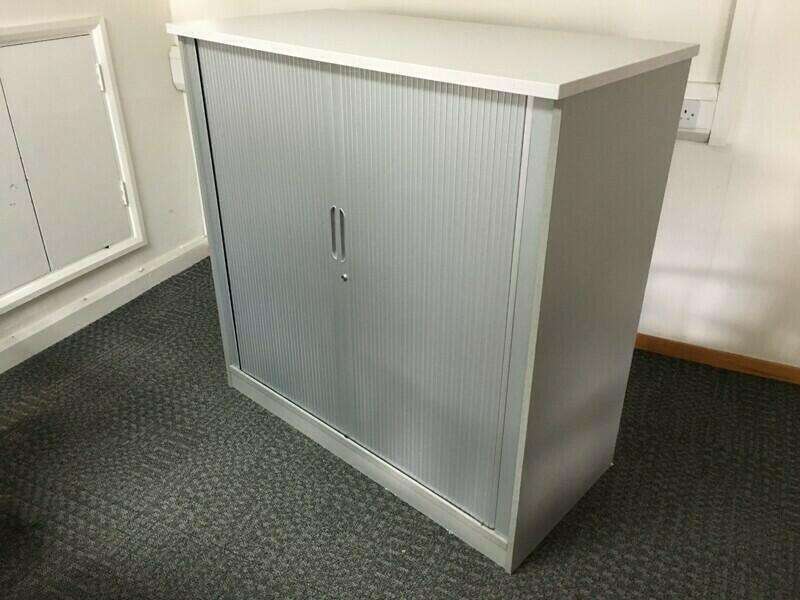 Silver double side tambour doors. Very strong units in good condition.